Using the vacuum trucks for long-term projects or one day purposes? We have rentals to suit your needs. Our vacuum trucks can handle the toughest and dirtiest cleaning jobs. Let us take care of it for you! 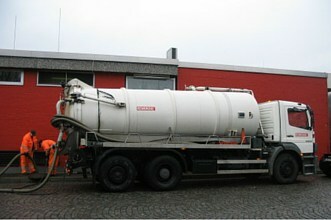 Looking for a vacuum truck rental solution to clear the sanitary waste in large volumes? Our vacuum trucks will is just the right solution for you! 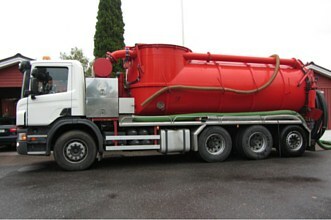 These tank trucks with heavy duty vacuums are designed mainly for the clearing of waste. The vacuum trucks are mainly used by both commercial and governmental entities to dispose of dry products, dust or waste. From latrine clear-outs to the disposal of waste water to cleaning of oil spills, the vacuum trucks possess the necessary equipment to solve your waste disposal problems. The vehicles are able to remove a wide variety of materials regardless of the density or viscosity. They are also commonly used for vacuuming, transportation, septic tank cleaning as well as site decontamination works. At Rentalorry, our staff are trained and equipped to handle any queries you may have regarding our vacuum truck rentals. With years of experience in the the commercial vehicle industry and the waste removal industry, we are confident that we can handle any queries that you may have. If you are interested in finding out more about the rental of these vehicles, do contact us and we will get one of our product specialist to provide you with more information.